Peterborough have signed Manchester United midfielder Ryan Tunnicliffe on a six-month loan deal, with defender Scott Wootton likely to follow. Wootton, 19, has been allowed to join the Posh squad for their pre-season training camp in Portugal, with a view to him signing at the end of July. 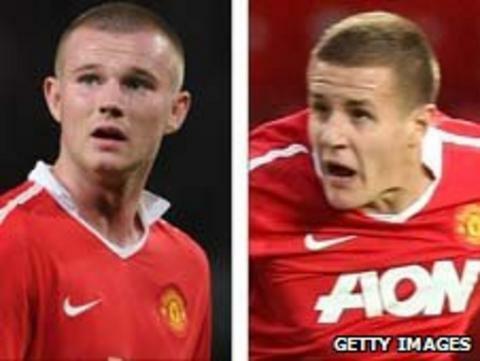 Neither Tunnicliffe, 18, or Wootton have made their United first-team debuts. Posh chairman Darragh MacAnthony announced the interest on Twitter. "Gaffer just told me two United lads signed on loan, Tunnicliffe & Wooton signed up," he said on the social networking site. Tunnicliffe played a key role in United's FA Youth Cup success last season, which culminated in victory over Sheffield United.